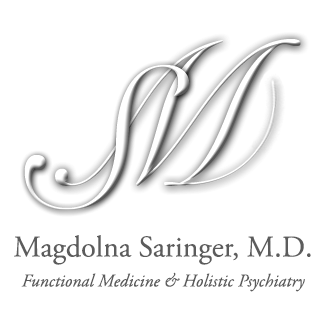 Neurofeedback — Magdolna Saringer, M.D. Neurofeedback is a type of biofeedback that realigns your brainwave patterns to optimal range. The result is better brain function which can restore or improve symptoms of memory loss, ADHD, anxiety, depression, PTSD/stress, insomnia, and tapering off psychiatric medication. We begin by giving you a brain map, also known as QEEG, which allows us to image the brain in real time. The brain map is an important tool we use to evaluate your brainwaves and identify opportunities to improve communication between various regions of the brain. Our detailed brain map report identifies unhealthy brainwave patterns and connectivity issues via an easy to read format. It also shows the training protocols needed to improve or eliminate your symptoms using neurofeedback. The Neurofeedback Training sessions are 30 minutes and pleasant. While you watch a movie or listen to music of your choice, you will wear our photic light glasses and there will be two electrodes attached to your scalp with conductive paste. This is how the computer monitors your brainwaves and gently guides the brainwaves into healthy patterns. There are no shocks being sent to your brain. The average number of sessions is 20-40, usually 1-3 times a week. Results are often permanent and no further training is needed. The Neurofeedback package includes the items below.